There are a lot of different operations for bunions, depending on the severity of the deformity, the shape of your foot and whether arthritis has developed in the big toe joint. 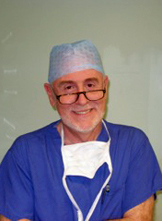 An orthopaedic surgeon who specialises in foot & ankle surgery can advise you on the best operation for your foot. See here for more information. Surgery often consists of arthrodesis (fusion) procedures that permit a realignment of the existing deformity. The ultimate goal is to reconstruct the bony architecture of the foot to enable the foot to be placed into appropriate shoewear so that the patient can walk without pain. The exact surgery depends on the specific nature of the deformity. Realignment arthrodesis sometimes requires a 1-2 night stay in the hospital and is usually performed as an in-patient. These procedures are performed under general inhalation anesthesia. Various types of internal and external fixation devices are often required either temporarily or permanently to maintain the foot or ankle in the appropriate alignment during the healing process. During the ankle replacement surgery the surgeon will make an incision on the front of your ankle, remove the damaged surfaces, and replace these with an artificial ankle joint made of metal, plastic, ceramic, or a combination of these. The ankle replacement is then fixed to the bone with a special coating and your surgeon will close the skin with stitches or clips. The main benefit of keyhole surgery is being able to confirm exactly what the problem is, and, in many cases, treat the problem at the same time. After ankle arthroscopy surgery you should feel less pain and recover more quickly. Alistair’s team presented his personal results at BOFAS 2013 and received first prize for this work.